Boils can be extremely irritating. A boil is a type of skin infection that often starts as a small red bump in your hair follicle or oil glands. And in no time, it grows into a big, painful, pus-filled bump. If you do not manage boils on time, the infection worsens. Thankfully, they can be easily managed at home with Ayurvedic remedies. Scroll down and check out the list of Ayurvedic treatments for boils. Castor oil is good for your hair and skin. Castor oil contains ricinoleic acid that is a potent anti-inflammatory agent that helps in taming inflammation (caused by boils and other skin infection). 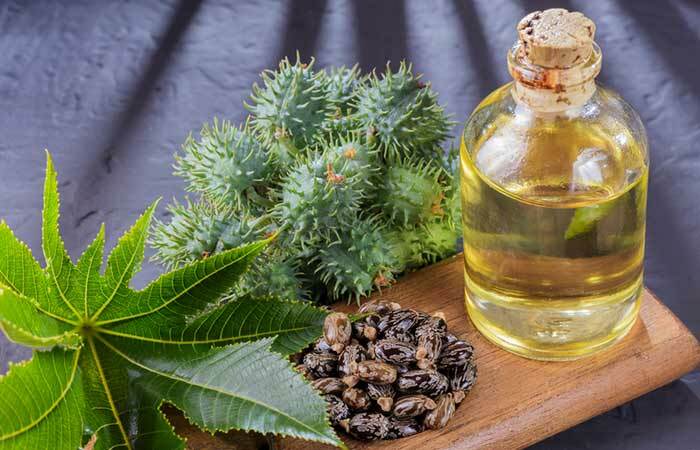 Castor oil also has antibacterial properties that help in inhibiting the growth of bacteria (including Staphylococcus aureus that causes acne and boils) (1). Pour a few drops of castor oil on a cotton swab and dab it gently on the boil. Do not press too hard or rub. Let it stay for a while and then remove the cotton swab. Do not wash. Do this thrice a day. Follow the routine until the boil is gone. This is one of the most widely accepted Ayurvedic treatments for any skin infection. 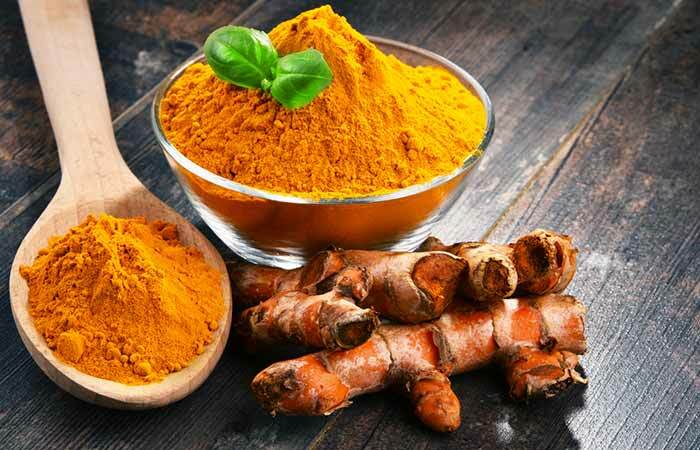 Turmeric has both anti-inflammatory and antibacterial properties (2). It helps in getting rid of the painful boil quickly. Turmeric can be applied to the skin and taken orally to treat a variety of conditions. 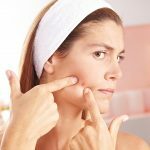 However, for treating boils, topical application works best. Take a teaspoon of turmeric powder and mix it with lukewarm water. You can use raw turmeric bulbs instead of the powder. Apply the paste on the boil and leave it on. Follow this treatment twice a day until the boil disappears. This oil is a blessing for problematic skin. It is used in most of the Ayurvedic medicines prepared for treating acne, pimple, boils, and similar skin issues. Tea tree oil has both antiseptic and antibacterial properties that help in reducing bacterial infection and healing painful boils (3). Mix seven drops of tea tree oil in half a cup of witch hazel. Use it as a toner and apply to the affected area. Use it thrice a day until the boil is gone. You can continue using this toner to keep your skin healthy and avoid any infection or skin irritation. This medicinal plant is commonly found in the backyard of every Indian household. 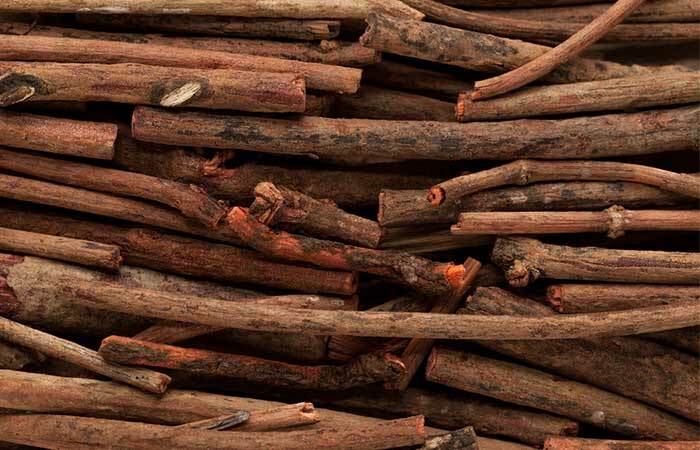 It is highly regarded for its antifungal, antibacterial, and antiviral properties. 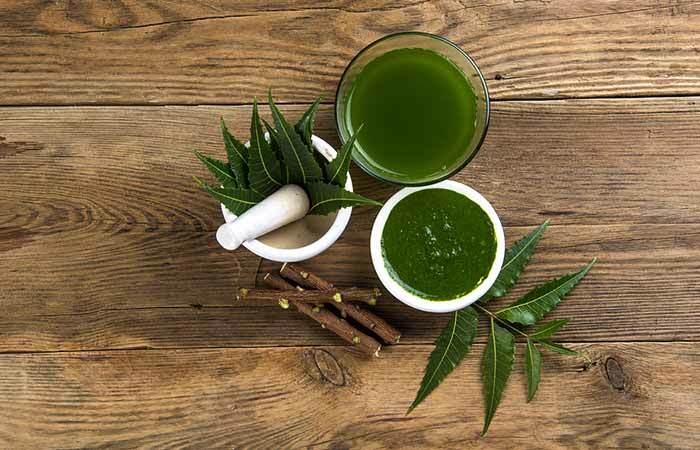 Neem is widely used for treating skin infections such as acne and boils. It inhibits bacterial activity, reduces inflammation, and facilitates healing (4). You can use neem in any form. Use a paste of neem leaves or neem oil on your boils. If you are using neem oil, pour a few drops of the oil on a cotton swab and apply to the boil directly. Do this at least 4-5 times a day until the boil is gone. If you are using neem leaves, grind a few leaves and mix with half a teaspoon of turmeric powder. Spread this mixture on the boil and wash it after it dries. Do this twice a day until the boil heals. Garlic or Lasuna is highly praised in Ayurvedic texts for its medicinal properties. The ancient Ayurvedic texts hail garlic as a potent rasayana. 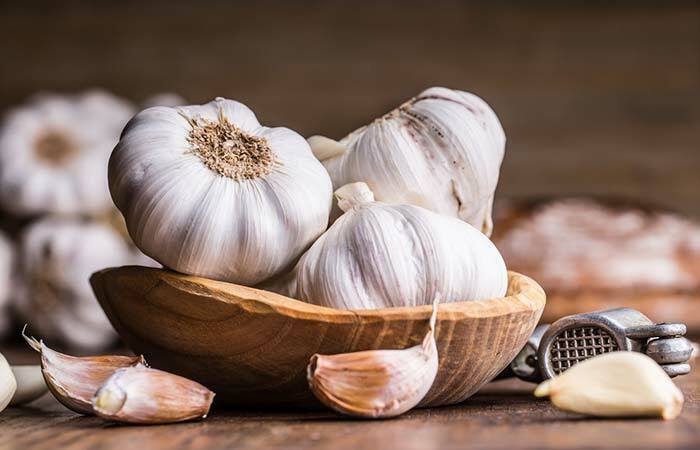 A study also found that garlic could inhibit the growth of Staphylococcus aureus (the bacteria that cause acne and boils). And this is because garlic contains allicin, a compound that gives it antioxidant and antibacterial properties (5). Many Ayurvedic texts suggest using onion for its medicinal values and rejuvenating properties. 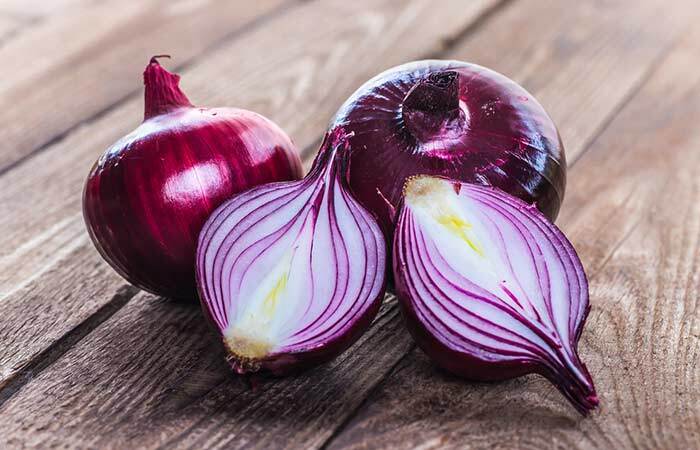 Onion-based treatments are widely preferred in Ayurveda (although Ayurvedic texts recommend avoiding excess onion intake). According to a study, onion has antibacterial properties and can inhibit several strains of bacteria, including Staphylococcus aureus (6). Take one teaspoon of onion paste and mix it with half a teaspoon of honey. Blend it well and apply a thick layer of the mixture on the boil. Leave it on for 15-20 minutes and then wash off. Avoid applying the onion mask immediately as your eyes might sting. This herb has been used since ages for treating many skin issues. Aloe vera has antioxidant, anti-inflammatory, and antibacterial properties and can heal wounds and infections (7). Anyone can use as it doesn’t irritate the skin. For spot treating the boil, apply aloe vera paste on it and leave it on overnight. 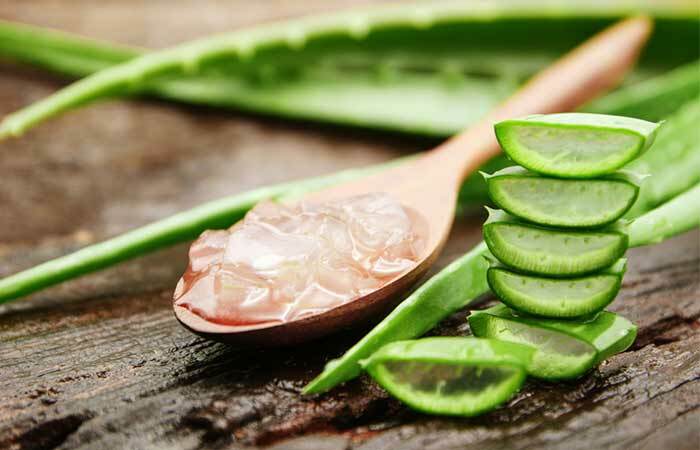 You can scoop the gel from an aloe vera leaf or buy aloe vera gel from the market and use it. This perennial herb belonging to the coffee family is a multitasking herb. It is used in different Ayurvedic concoctions meant for multiple skin and health conditions. Primarily, it is known for its blood purifying properties and is widely consumed along with neem extracts. It was evaluated for its antimicrobial effect and was found to be active against multiple strains of bacteria (8). You can buy Manjistha powder or syrup and drink it with water or milk. It purifies the blood and helps in detoxification. You can see remarkable effects on your skin with regular usage. You can also mix the powder with turmeric paste and a bit of water and apply directly on the boil. Use it twice a day until the boil heals. Also known as paan, this leaf is popular as an after-meal mouth freshener (mainly due to its digestion-boosting properties). 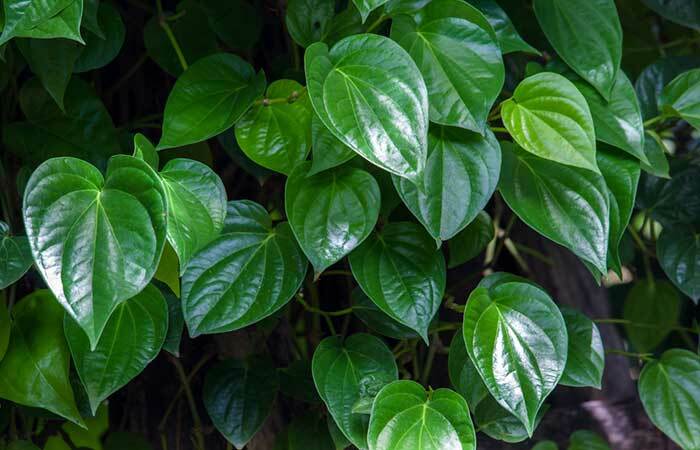 A study found that betel leaf extracts could be used as antibacterial agents and were pretty effective in inhibiting the growth of various strains of bacteria (9). Take a betel leaf and make a paste. Add a pinch of turmeric to it and mix well. Add water if necessary. Apply the paste to the boil and let it dry. Wash it off. Follow this treatment twice a day until the boil is healed. You cannot miss the presence of Kalonji (as it is commonly known as) in Indian kitchens as it is used in a majority of food preparations. 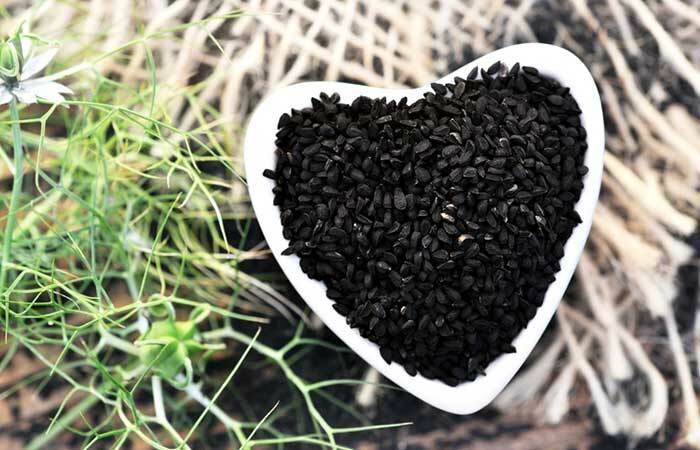 These small black seeds have been used to cure multiple diseases since centuries. They have anti-inflammatory and antimicrobial properties that can help in treating boils by healing the infection (10), (11). 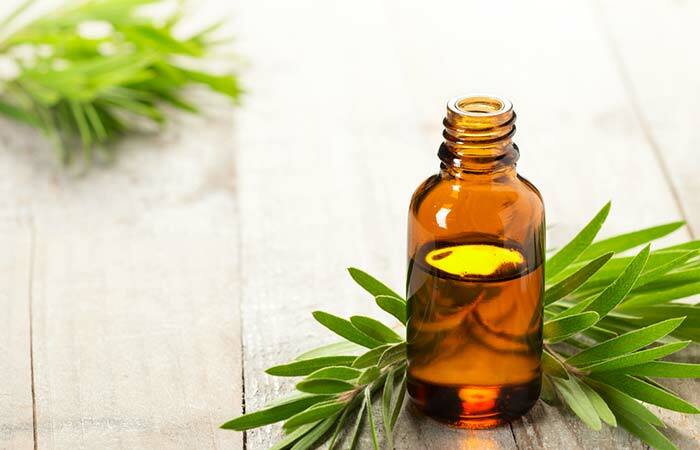 Mix two to three drops of black cumin seed oil with half a teaspoon of jojoba oil. Apply the mixture to the boil and leave it on overnight. Follow this treatment until the boil is gone. A boil often looks like a pimple that has turned really bad. While most boils disappear on their own, you should not forget that they are infectious. And the infection may spread through touch. 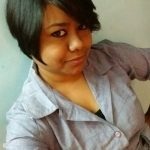 So, it is important to deal with the condition at the earliest. These Ayurvedic treatments are simple and effective and can be followed at home. 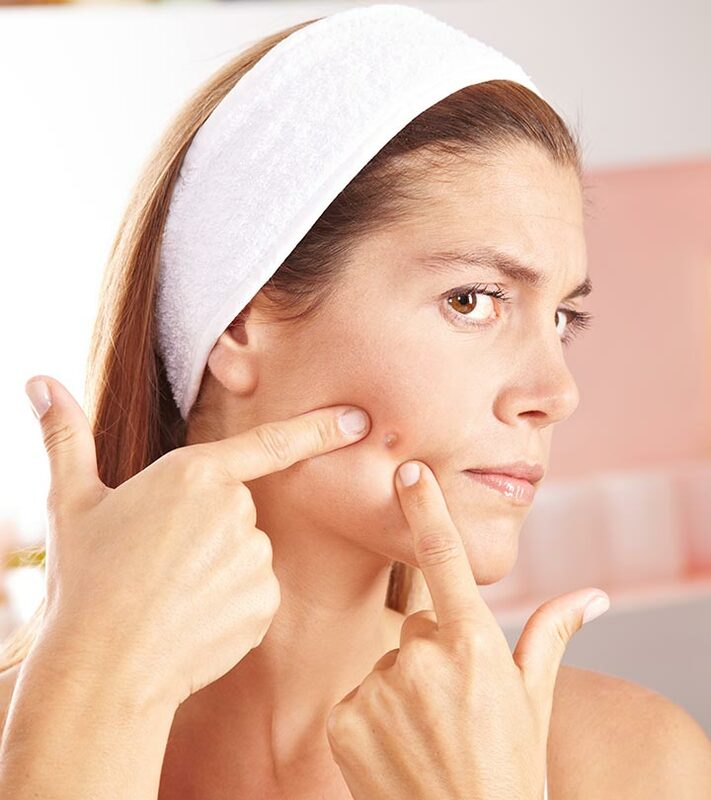 Try these powerful yet all-natural weapons to get rid of the ugly boils. And don’t forget to share your experience in the comments section below.